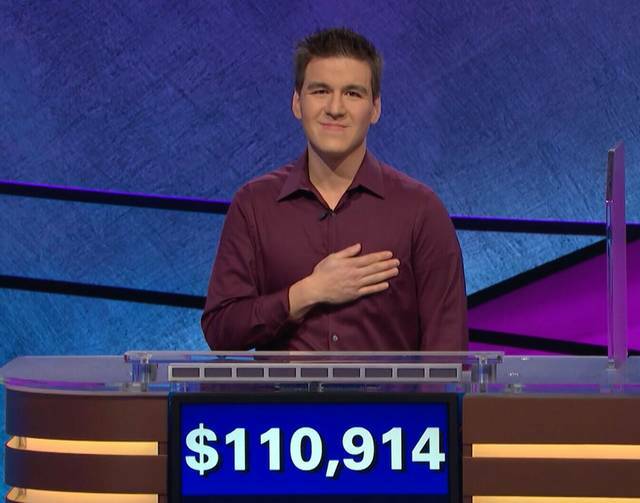 CULVER CITY, Calif. (AP) — A 34-year-old professional sports gambler from Las Vegas won more than $110,000 on “Jeopardy!” on Tuesday, breaking the record for single-day cash winnings on the trivia television game show. Tuesday’s win was the fourth consecutive victory for Holzhauer, whose winnings total more than $244,000. He faced two new challengers Wednesday.